Traveling with tweens and teens can be tricky, especially when it comes to what to do. With vastly different personalities and coming into their own it can be tough to please them all. But the Track Family Fun Parks in Branson is on of the top things to do in Branson with tweens and teens. Disclosure: I was the guest of Myrah at Couponmamacita on the #BloggingBranson trip. All opinions are my own. 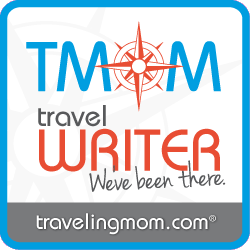 As a mom to tweens and teens I know it can be tough to please them all when traveling. They like different things and the attitudes come out full force if they’re bored. I always try to make sure there is something for everyone at each attraction and the Track Family Fun Parks in Branson meet that need. Having only been in Branson since 2016, The Branson Ferris Wheel is one of the newer attractions at Track 4 of the Track Family Fun Parks. But this ferris wheel has some famous history as it formerly the Chicago Navy Pier Ferris Wheel from 1995 – 2015. This giant rotating wheel holds up to 240 passengers in 40 gondolas and each ride lasts about 15 minutes. With 16, 000 LED lights the Branson Ferris Wheel lights up the night sky as a beacon calling to all tweens and teens. Personally, I’m not a fan of ferris wheels. I have an issue with the swinging back and forth high in the sky. But I did go on it! And it wasn’t so bad. I do have to thank Niccole from The Creative SAHM because she gave me something to focus on other than the swinging. Haha! She may not of had as much fun as the rest of us did. It’s hard to find kids that don’t enjoy go-karts. The racing each other around the track and seeing who finishes first is enough to bring joy to all those with a competitive streak. Which, honestly is just about every tween and teen. The Track Family Fun Parks have a whopping total of 14 different tracks, so there is a track for everyone. We were at Track 4 which features the Heavy Metal High Rise. This track has a spiral loop that is 4 stories high, imagine driving a go-cart in the parking garage spiral! Bumping, bumping and more bumping. What kid doesn’t just love bumping into others. Especially siblings and parents! Select Tracks feature both bumper rides bringing twice the fun to the adventures. When we visited The Track Family Fun Parks it was unseasonably cold, so the bumper boats weren’t open. But I bet during the summer months they are just what you need to cool off! If you’re like me, you have that one kid that isn’t about rides at all. My youngest would much rather spend hours playing games in arcades then step foot on a ride. Track 4 has a new state of the art arcade that is filled with games that will entertain kids for quite some time. I know my son is all about the games that give tickets, so he can get some extra little goodie at the end. A few other tracks feature laser tag, batting cages, mini golf and so much more! Trust me, no one will be saying “I’m bored” while at the Track Family Fun Parks. There seriously is something for EVERYONE! For more information including how to purchase a Playcard or 2018 Go Card in advance go to the BransonTracks.com. Remember there are a total of 14 different tracks that are all unique! Sometimes it’s hard to find something everyone in the family will enjoy but the Branson track has everything! I loved the ferris wheel.